Matt Mandziuk is a Cave and Technical Diving Instructor and active dive explorer who began his love of the water as early as he could put a regulator into his mouth which was around the age of 4.5 years of age, at which time, he was first able to breath underwater in a pool without having to come back up for a breath of air. Matt completed his first open water dives in the ocean at age 10 and started his formal diving education at age 12. Growing up with scuba in his blood and around the business that his father started in 1974, diving was always something that fascinated Matt, especially growing up around the Great Lakes, when he would often ponder what was out there. Matt took to our amazing local diving like a fish to water, as well as diving down south with many of Dan’s students in his early years. Matt’s comfort level in the water was instilled at an early age but when he dove his first shipwreck, that was it – it ignited a passion for diving that becomes more fierce with each year that he stays in this amazing sport. Add his addiction to cave diving and you have a lifelong hobby with endless destinations and possibilities. 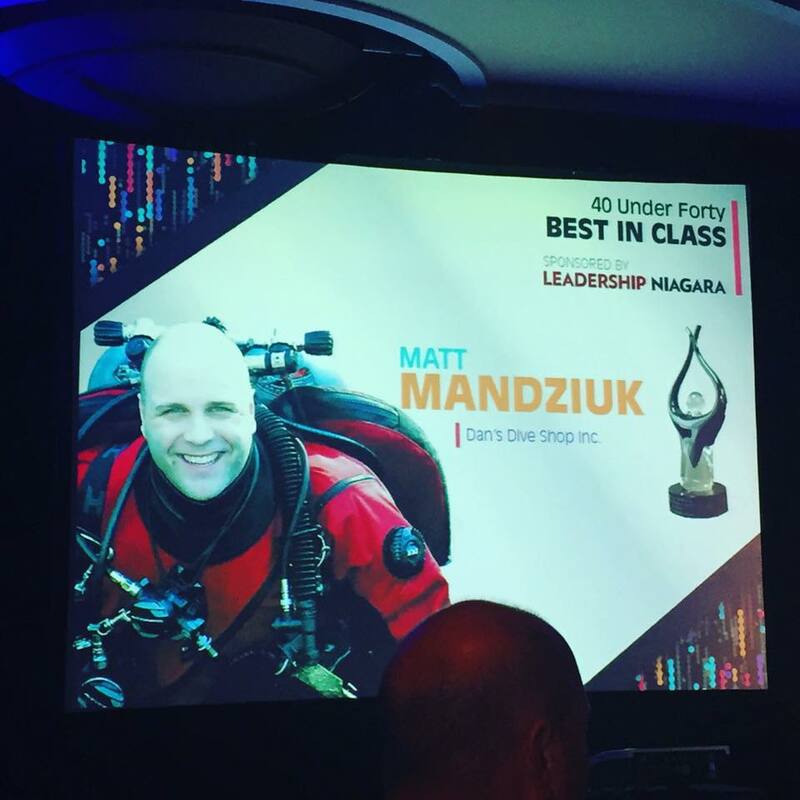 Matt is a recipient of the Business Link Niagara’s Top 40 Under 40 Business Achievement Awards and the top award of the evening, the “Best In Class” award for his dedication, passion and leadership in the dive industry. Matt has logged thousands of dives in as many diving environments possible from recreational to technical diving, trimix , cave diving, sidemount and the use of fully and semi-closed rebreathers. In 1998 Matt began walking down the leadership path, as he completed his PADI Divemaster Course, as well as his journey down the technical diving path and has since earned the ratings of instructor through agencies like NAUI Tec offering most of their cutting edge programs from Intro to Tech to Extreme Exposure Trimix and NAUI’s revolutionary Cave 1 & Cave 2 cave diving courses, Wreck Survey, Wreck Penetration and Technical Wreck Penetration Courses, Ice Diving and more. Matt is a PADI Master Scuba Diver Trainer and a Tec Rec Instructor, Emergency First Responder Instructor. TDI: Technical Diving International Trimix Instructor, SDI: Scuba Diving International Instructor & CPR 1st/Oxygen Provider & AED Instructor and the Exclusive Canadian Instructor for IDREO: International Diving Research Exploration Organization specializing in exploration training, projects, rebreather courses and more. Matt is also an Instructor Trainer with NAUI, the most respected training agency in the world of recreational and technical diving. 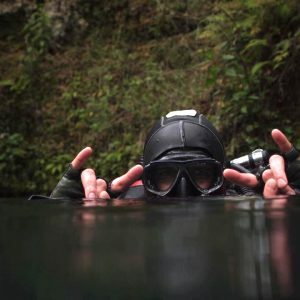 Doing what he loves – you’ll find Matt happiest underwater, whether in doubles or sidemount configuration, he is equally comfortable teaching and diving in both. Pictured here in Florida having a good day with Intro to tech students. Matt loves to teach diving, with his favourite Courses to teach being NAUI’s Intro to Tech Course, Trimix, Decompression Procedures, Wreck penetration, Cavern and Cave Diving, Diver Propulsion Vehicle and of course the Open Water Scuba Diver program. What sets Matt apart from the vast majority of technical diving instructors and divers is his experience and versatility in not just shipwreck diving or deep diving, but also cave diving, wreck and cave exploration on both backmounted and sidemounted tanks, as well as the fact that he has safety conducted thousands of mixed gas trimix dives. Matt teaches all of his classes with the highest level of professionalism, putting his students as his #1 priority, while offering a great amount of personal attention, pride, as well as comfort, confidence, security and a higher level of standards and skill sets than the vast majority of instructors who dabble in technical diving education. Matt has been trained by past and present members of TDI, NAUI Tec, GUE, UTD, IDREO, IANTD, SDI, SSI, PADI, NSS-cds, NACD and ACUC. Those experiences have helped shape hm as a diver and with such a range of exposures to different instructors, allowed him to see a multitude of different styles of teaching and calibre of diver. See what his students have to say about his top notch instruction in our testimonials section. 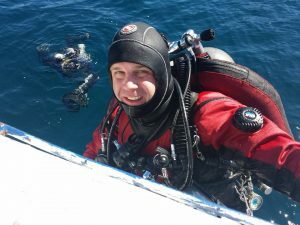 You’ll usually find Matt diving every week somewhere around the Great Lakes diving a shipwreck or deep walls in his backyard of Ontario, Canada, as well as the many great American shipwrecks in the US. When Matt’s not diving locally he spends his time actively engaging himself in exploration projects and cave diving projects in the many underwater Caves in Mexico, Dominican Republic, Florida or anywhere new, fun and exciting. While there area a lot of choices in technical diving instruction, make no mistake, there are few equal programs in the industry that can stack up to what Matt and his staff are teaching. 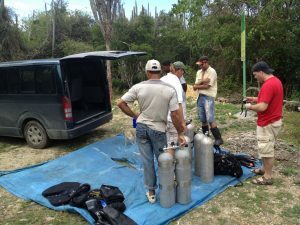 If you want the best technical diving education, Matt will lay the strongest foundation possible. Let Matt Mandziuk be your guideline to diving excellence and become the diver you were meant to be. Matt’s World Class Diving Abilities, Reputation for Excellence, Passion for diving and Attentiveness to students has earned him a following of students from all over the globe including Canada, USA, Germany, Mexico, Italy and has placed him on many Technical Diving Expeditions, on TV, Radio and in Dive Magazines. We have flown Matt around the globe to teach all levels of technical diving courses, so if you can’t come to us, we can go to you. Matt was one of North America’s First Instructors to be offering Recreational and Technical Diving Instruction using the Doing it Right philosophy which promotes a more team oriented set of skill sets, team awareness, but with his addition of a more thinking diver underwater who’s able to solve problems using a multitude of mental and physical solutions. 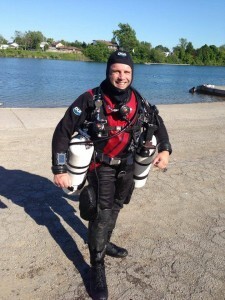 Matt was also one of the first instructors to teach sidemount in Canada and has been diving and teaching sidemount diving since before sidemount was “cool”. 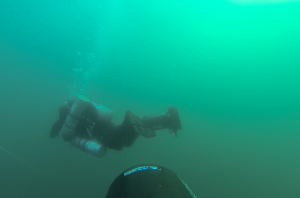 Adding his Progressive Diving influences to mirror the back mounted configuration, Matt teaches all courses from single tank, to doubles, to sidemount to rebreather utilizing the same, familiar basic configuration, so there is no confusion where your gear is when you need it most. Matt is a Master Repair Technician for many major brands of equipment specializing in Atomic Aquatics, Scubapro, Dive Rite, Halcyon, HOG, Mares, Hollis, Zeagle, Poseidon and many other regulators/bcd’s as well as a certified OUC and PSI Visual Tank Inspector, Certified Nitrox/Trimix Gas Blender for every major agency, a Gas Blender Instructor for PADI DSAT and NAUI Tec, as well as a NAUI Oxygen Service Technician Instructor training divers in the art of repair and maintenance for nearly 20 years! Matt loves helping share just a bit of his extensive knowledge with anyone who’s interested and wants to learn. Matt is also a Professional Musician taking time on occasion to play live on stage or in the recording studio. Matt has recorded for some of the best bands you’ve never heard of, as well as his own solo projects. Currently he’s scoring some of our store videos with his musical stylings, so check out our videos section and you may just hear Matt shredding above the water as well as he can underwater. Matt has recently purchased Dan’s Dive Shop along with his sister Kristen and together, they’re making their mark in the diving industry not only as an innovator in diving education but now in the way the dive shop handles their product lines, selection, travel and marketing efforts. Look for big things to continue coming down the pips from DDS. If you’ve got ideas for us in how we can improve, please DM us. Matt has recently founded a new training corporation for all recreational and technical training, exploration and distribution under the Divers Edge brand name so you will see joint marketing efforts from Dan’s Dive Shop and the Divers Edge training brands. In 2015 Matt was awarded the PADI Elite Instructor Award for his dedication and excellence in diving education. He has hit or surpassed the certification requirements many times, especially prior to Elite Instructor being a rating. 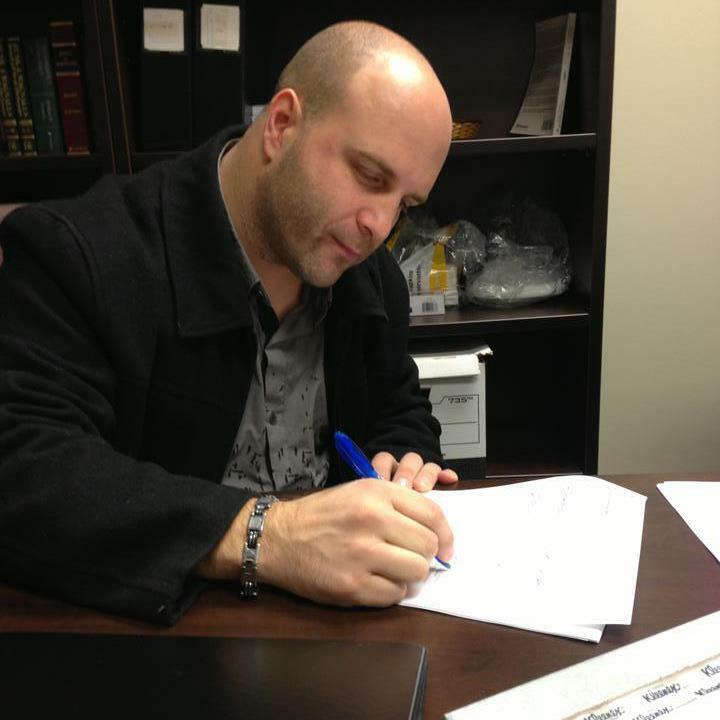 Matt has been featured in television, magazines, independent films, radio and has been called upon as expert in his field in legal proceedings. Discover Scuba, Scuba Review, Skin Diver, Bubblemaker, Open Water Diver, Advanced Open Water, Rescue Diver, PADI Divemaster, PADI Sidemount, PADI Enriched Air Nitrox, PADI Self Reliant Diver Distinctive Specialty, PADI Peak Performance Buoyancy, PADI Drysuit Specialty, PADI Cavern Diver, PADI Deep Diver, PADI Wreck Diver, PADI AWARE Coral Reef Conservation Specialty, Project AWARE Diver, PADI Diver Propulsion Vehicle, PADI Ice Diver, PADI Tec Rec Nitrox and Trimix Gas Blender. 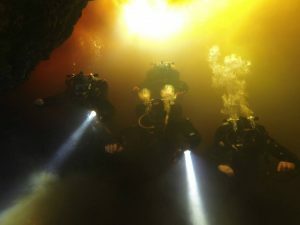 NTEC, NAUI Intro to Tech, Technical Decompression Diver, Helitrox, Trimix, Cavern, Cave 1, Cave 2, Wreck External Survey, Wreck Penetration, Technical Wreck Penetration, Ice Diver, Mixed Gas Blender, O2 Service Technician, Technical Sidemount and more. 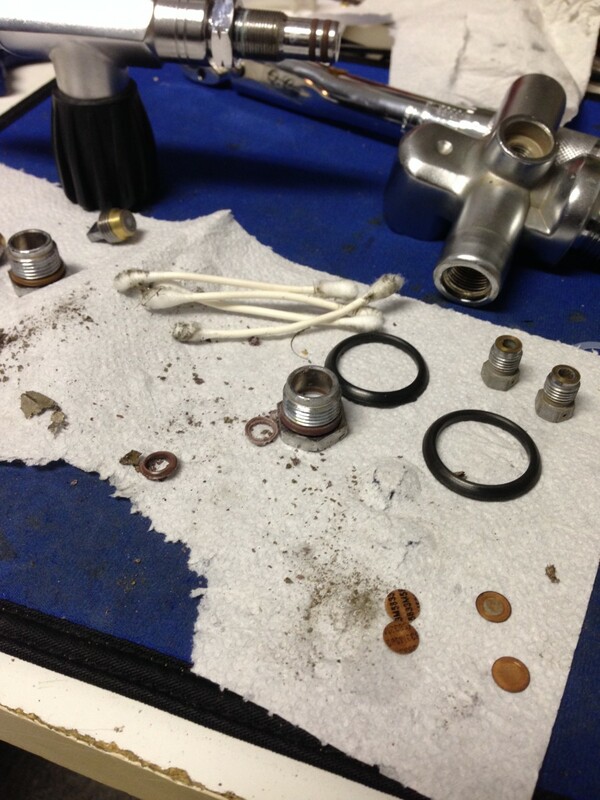 Nitrox, Intro to Tech, TDI Advanced Nitrox, TDI Decompression Procedures, TDI Trimix, and more. Rebreather Explorer 1 & 2 (CCR Rebreather, PSCR & aPSCR Rebreather, Sidemount aPSCR, Deco RB). Q: What is your next personal or professional dive training goal? Q: What spot is on your dive bucket list? Q: What’s one piece of dive gear you can NOT live without and why? 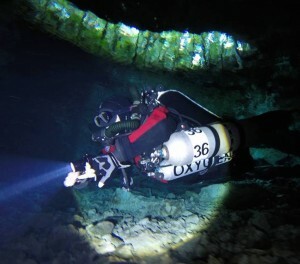 A: My entire gear setup is a cohesive unit that functions perfectly with each component being personally selected for its ability to outperform the other products on the market, but generally the first things that pop into my mind are my DUI FLX Extreme Drysuit and XM450 Underwear combo, which keep me warm and dry during long dives in Florida caves or any local diving location regardless of time of year (although my Santi Heated Vest helps in extremely cold situations to keep me that extra little bit warmer),. My Halcyon Explorer MC System keeps me trimmed out perfectly, my Halcyon Focus 2.0 LED Canister Light keeps things lit in open water for signalling or in an overhead environment, while I have a pair of Halcyon scout lights that have been my faithful companions for 15 years as the most reliable backup lights I’ve ever seen. They’ve since been upgraded to LED. My Atomic Aquatics M1 regs have been the best regulators I’ve ever used with over 14 years of service on them, they’re my main backmount regulators, having dove them in every environment possible. They’ve been the only regs I’ve found that have never faltered having used and dove pretty much every regulator on the market today. For stage and deco regs I use mostly Dive Rite XT regulators and Halcyon H75-P Halo regs for my oxygen regulators, Shearwater Petrel 2 EXT and Perdix SA dive computer as a backup, TUSA masks, Scubapro Jet Fins or Dive Rite XT Fins, Halcyon Contour is my current Sidemount harness for drysuit and steel tanks, while I use either Halcyon Zero Gravity or xDeep Stealth Tec for wetsuit and AL80’s. I use Halcyon primary reels, Halcyon and White Arrow spools, Halcyon surface signalling devices or SMB’s. My Rebreather of choice is the White Arrow Explorer CCR Rebreather, which is an expedition grade rebreather capable of any configuration in manual, electronic, fully closed, semi-closed or sidemount configuration. My dive scooter is also a necessity. I dive advanced dive vehicles manufactured by SUEX. The SUEX XK1 would be the equivalent to my Halcyon HDV EXP scooters. 16 km range, 5 hour burn time and more speed and torque than anything else on the market. I also am a big fan of the new SUEX XJ37 which we have in rental along with several Xjoy 7’s. I honestly couldn’t imagine diving anything differently than whats above, therefore I can’t really live without any of my gear and you shouldn’t either.